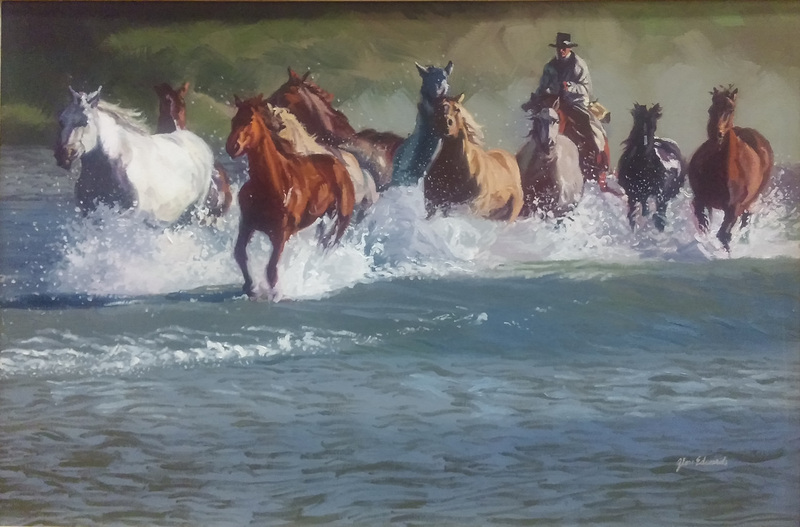 ﻿Glen Edwards ability to paint "real" people shows up in his award winning watercolor and oil paintings. 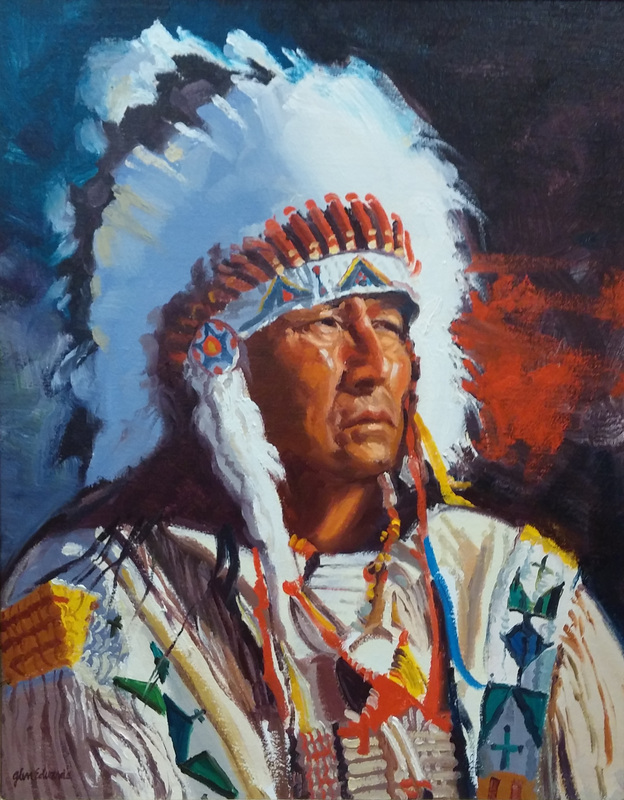 His paintings have been exhibited in many one man and juried international, national, regional, state and local exhibits and are collected by people throughout the world. 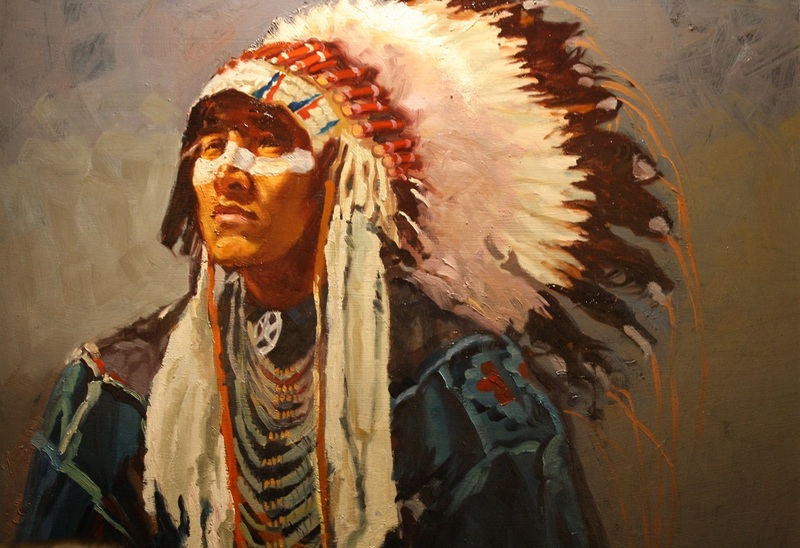 His paintings and illustrations have been featured in many exhibitions and publications throughout the United States. 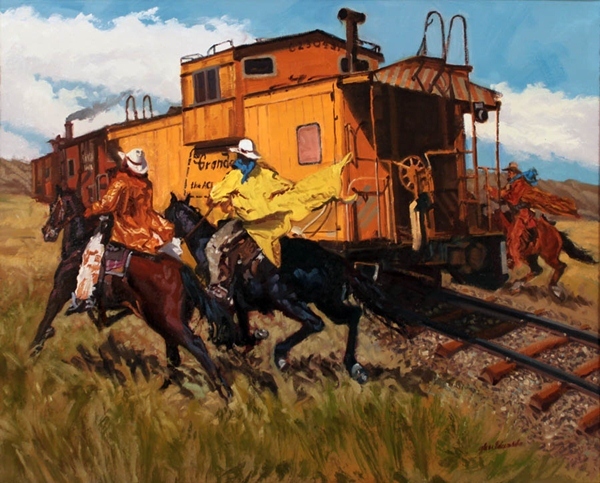 Most recently Glen was awarded the 2010 Artist's Retreat Award in the American Plains Artists' 26th Annual Juried Exhibit. 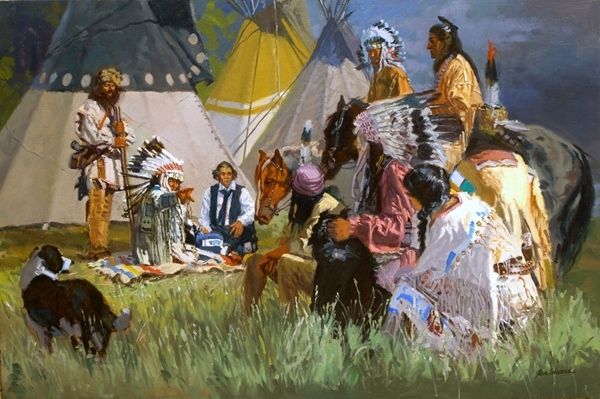 He was also a Featured Artist In Southwest Art Magazine. 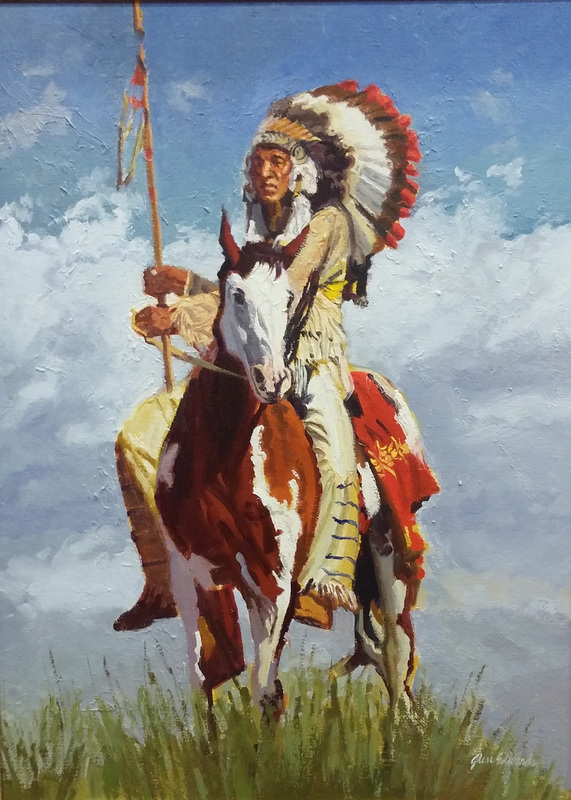 His paintings and illustrations have also been featured on covers and articles of numerous books, magazines and publications in Los Angeles, New York City and throughout the Intermountain West. Among his clients are Dell Book, Signet Book and Field and Stream Magazine. 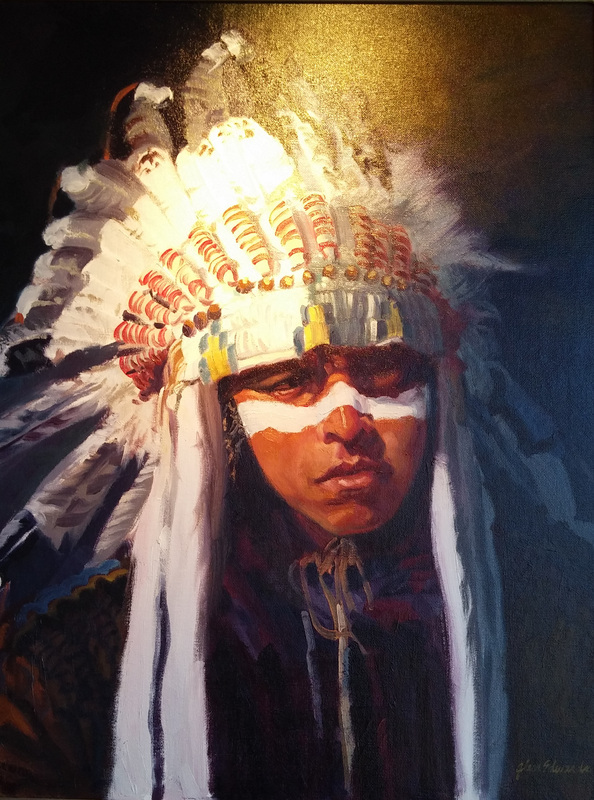 A native of Preston Idaho, Glen presently resides in Northern Utah with his artist wife, Barbara. 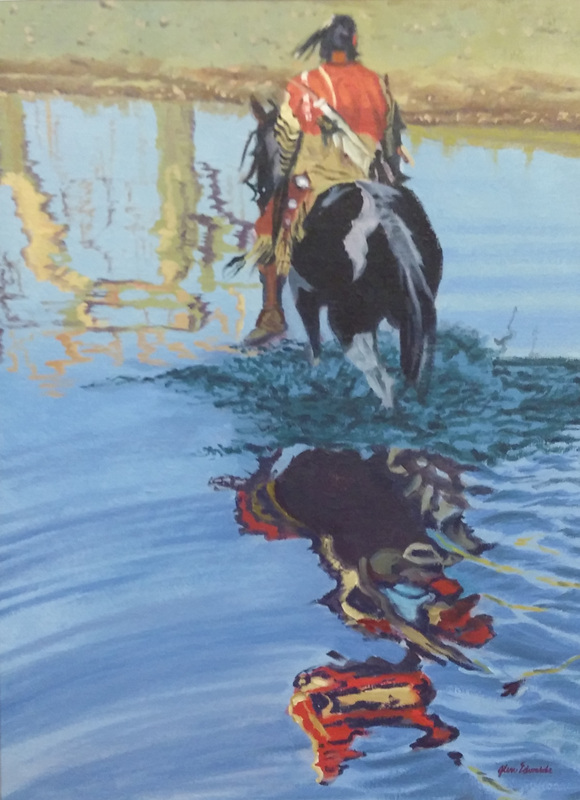 ﻿Permission To Tarry -﻿ SOLD!